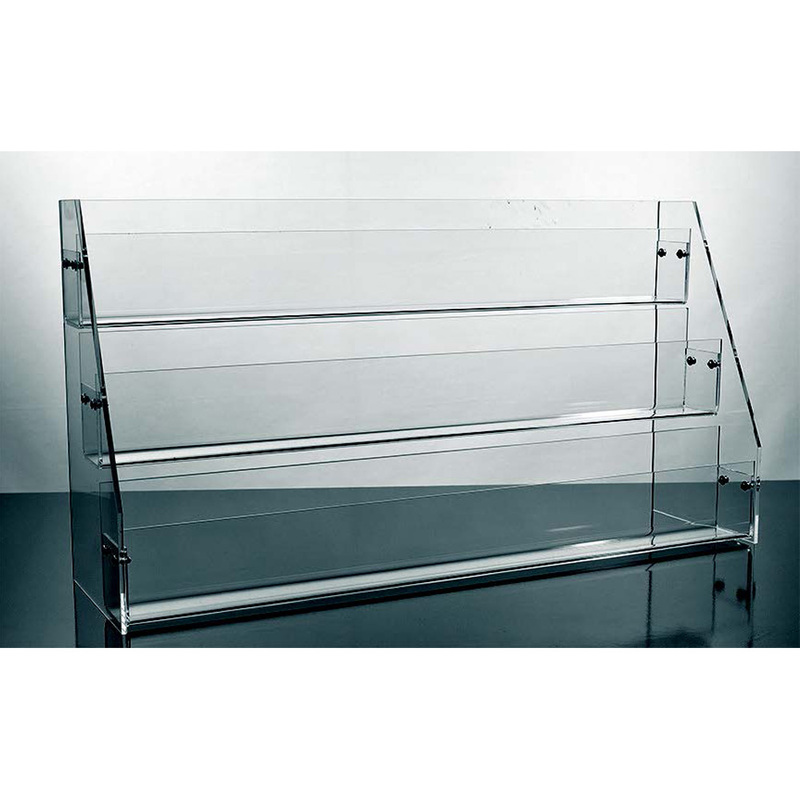 Stylish acrylic display features three, 3 in. 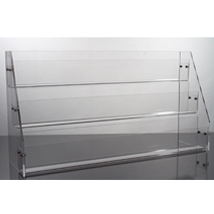 deep tiered shelves to display a variety of impulse products including greeting cards and so much more. Great for literature, books, DVDs, nail polish - almost anything!